BOSTON - After 16 long years, the arrest of notorious Boston gangster James "Whitey" Bulger appeared to end a long, frustrating manhunt that had embarrassed the FBI and raised questions about its efforts to find one of its most wanted fugitives. But Bulger's capture could be only the beginning of a new scandal for the Boston FBI and others. "If he starts to talk, there will be some unwelcome accountability on the part of a lot of people inside law enforcement," said retired Massachusetts state police Maj. Tom Duffy. "Let me put it this way: I wouldn't want my pension contingent on what he will say at this point." Bulger, the leader of the violent Winter Hill Gang, is charged in connection with 19 murders. He was captured in Santa Monica, Calif., Wednesday, where he had lived for 15 of the last 16 years, according to his landlord. Bulger is scheduled to be in federal court in Boston at 4 p.m. Friday, said a spokeswoman for federal prosecutors in Boston. His longtime girlfriend Catherine Greig, who was captured with him Wednesday in Santa Monica, California, will make her initial appearance in a different courtroom shortly afterward. "We expect Mr. Bulger and Ms. Greig here today but logistical arrangements are still being worked out," she said. Bulger's flight in early 1995 allegedly came after a tip from former Boston FBI Agent John Connolly Jr., who was convicted of racketeering and obstruction of justice in 2002 for protecting Bulger and his cohort Stephen "The Rifleman" Flemmi from prosecution. Both Bulger and Flemmi were FBI informants who ratted out members of their main rivals, the New England Mob. During Connolly's trial, Bulger's right-hand man, Kevin Weeks, testified that Bulger boasted that he had corrupted six FBI agents and more than 20 Boston police officers. At holiday time, Bulger stuffed envelopes with cash, Weeks testified. "He used to say that Christmas was for cops and kids," Weeks said. "He stabbed people, he beat people with bats, he shot people, strangled people, run them over with car," Weeks told Bradley. "After he would kill somebody, he'd--it was like a stress relief, you know? He'd be nice and calm for a couple of weeks afterwards, like he just got rid of all his stress." "Whitey was no fool. He knew he would get caught. I think he'll have more fun pulling all those skeletons out of the closet," MacKenzie said. "I think he'll start talking and he'll start taking people down." Bulger, now 81, appeared briefly in federal court in Los Angeles Thursday, agreeing to waive extradition. He is expected to be returned to Boston within the next week to face charges of murder, conspiracy, narcotics distribution, extortion and money laundering. Neighbors were stunned to learn they had been living in the same building as the man who was the model for Jack Nicholson's ruthless crime boss in the 2006 Martin Scorsese movie, "The Departed." Connolly, the retired FBI agent who was convicted of protecting Bulger, also was found guilty of murder in Miami for helping to set in motion a mob hit in 1982 against a business executive. The Bulger arrest could have a huge impact on whether Connolly spends the rest of his life in a Florida prison. Connolly is set for release next Tuesday from a federal penitentiary after serving nearly 10 years for his Boston racketeering conviction. But Connolly will be whisked to Florida right away to begin serving a 40-year sentence for his role in the slaying in Miami of gambling executive John Callahan. 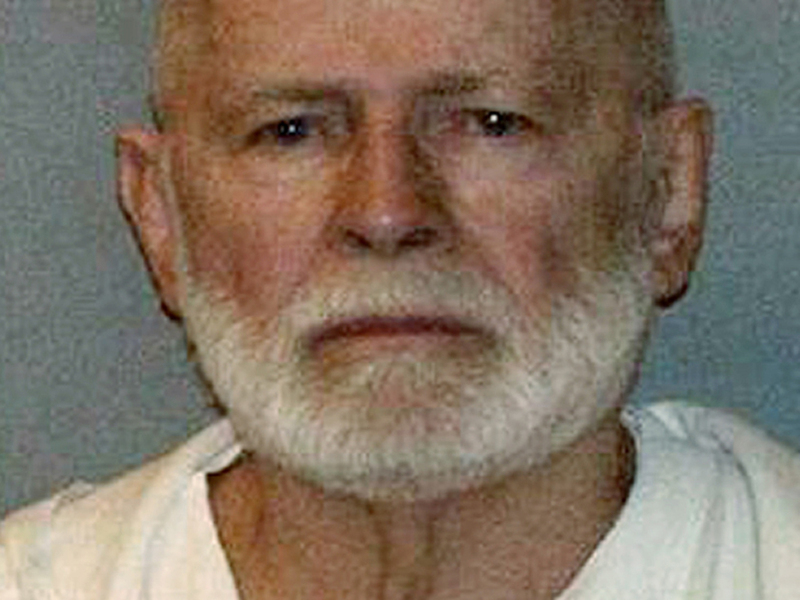 Connolly was convicted of murder in 2008 for tipping Bulger that Callahan was about to implicate Bulger and Flemmi in the 1981 killing of Oklahoma businessman Roger Wheeler. Connolly, who is appealing the conviction, insists he never fingered Callahan. Now, if Bulger backs up Connolly's story, it could change the outcome of the Florida case. "If Bulger says that John (Connolly) had no involvement in the Callahan murder, then John will file a motion for new trial based on newly discovered evidence and should prevail," said Connolly's attorney Manuel Alvarez. "If that happens, we might see Whitey testifying in a Miami courtroom.